The Arab – Omani population data represent 162 DNA samples from recruits to the Royal Oman police academy, which are said to represent the entire Sultanate of Oman, the nation’s official name. (Oman). Research was conducted by the Indianapolis-Marion County Forensic Services Agency; Wabash College in Crawfordsville, Ind; the Royal Omani Police C.I.D. (Criminal and Inquiries Directorate) Laboratory; Lakeside High School – Martinez, in Augusta, Ga.; the Forensic Sciences Research and Training Center at the FBI Academy in Quantico, Va.; and by the Dept. of Biological Sciences at Florida International University, in University Park, Miami. 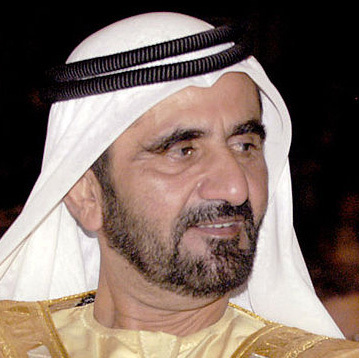 Photo: Sheik Mohammed bin Rashid Al Maktoum. Public domain. Source publication: Allelic Distribution Of Nine Short Tandem Repeat (STR), HLA-DQA1, And Polymarker Loci In An Omani Sample Population, FSI, 2000, p81-85.